Keeping our water safe is more and more on the minds of everyone. In fact, according to an EPA survey and a Harris Poll, 84% of Americans are concerned about the quality of their water. And over 300 contaminants have been found in drinking water supplies across the country. 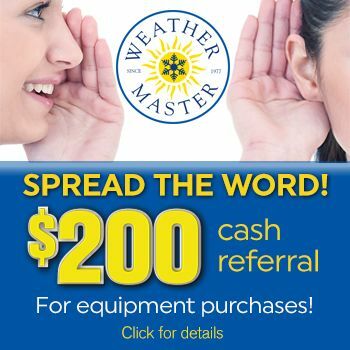 Weather Master is proud to offer their customers water filtration products, which provide you and your family with cleaner, clearer, better tasting water throughout your entire home every day. 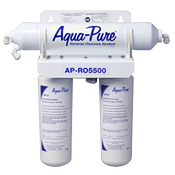 With the most comprehensive product line from under sink filters for the kitchen and bath or softeners and filters for the entire home, Aqua-Pure® filtration systems are perfect for any size home. Aqua-Pure® whole house filtration systems also referred to as a point of entry filtration systems, are installed where water enters your home. Once in place, these systems filter all the water in your home. Aqua-Pure® premium drinking water systems install under your kitchen or bath sink to deliver cleaner, clearer, better tasting drinking water straight from the tap. These systems provide filtered water on demand for drinking (water, coffee, tea, baby formula, etc.) as well as for cooking and cleaning. A solution for: chlorine taste and odor, unpleasant water taste, and cloudy water. Our full line of ultraviolet light systems, ranging in flow rates from 1 gpm to 30 gpm per unit, sterilizes bacteria and viruses by exposing them to ultraviolet light at both point of entry and point of use. The UV Pure series is NSF Std. 55 Class A listed allowing use in a wide array of applications. Aqua-Pure® softeners and treatment systems help protect your home’s piping system and water-using appliances by reducing hardness and scaling. These systems are installed at the point of entry (where water enters the home) and require electricity and a connection to the home’s drain system. Specialized media are also available to target low pH and iron as well as off tastes, odors and high sediment. Our skilled plumbers have installed water filtration systems in homes in Raleigh, Chapel Hill, Durham, Cary, and homes all over the Raleigh, North Carolina area. For more on water filtration or any of our other products and services, please contact us. Don’t forget to ask us about our exclusive 100% Satisfaction Guarantee!